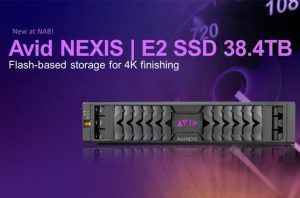 The latest technology news from our partners including EditShare, Avid, Ross Video & StorageDNA and many more, the latest 4K, 8K and UHD and cloud technology announcements. 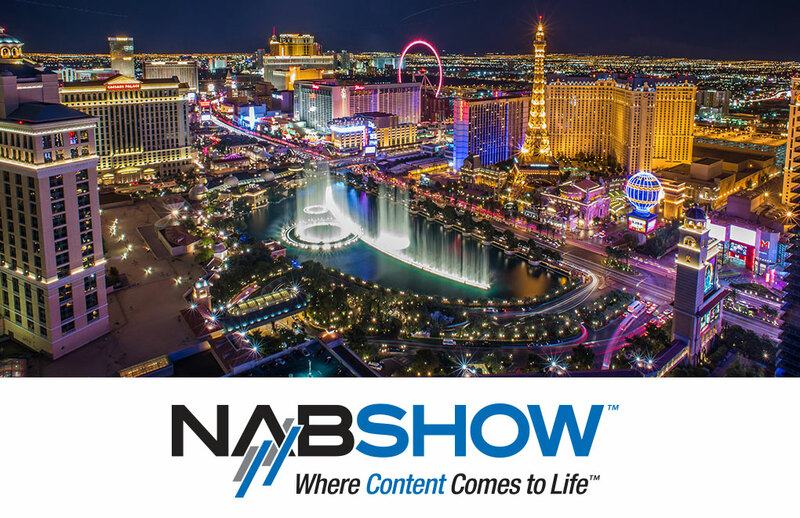 We will post here links and news from NAB 2019. Please check back here for the latest news. Connect with dynamic storytellers and media visionaries, discover groundbreaking ways to collaborate, and disrupt your industry. Come to the booth and see what’s new with our innovative solutions that expand your creative possibilities, propel team collaboration, and supercharge media enterprises—so you can move forward and disrupt the status quo. Avid is excited to announce the upcoming release of Avid NEXIS | Cloudspaces, which was launched on Saturday, April 6 at Connect 2019, and generally available to the public on Monday April 8, 2019. Today we are heading for the storage stratosphere with installs routinely hitting 1PB and beyond. The exponential increase of file size and quantity, together with the ever-expanding variety of formats and hi-res codecs, has made high-performance media engineered storage essential. Security has leapfrogged many other industry concerns to arrive at the top of the list: now a prerequisite for doing business in post-production pipelines. Global delivery formats, a long-time fantasy for many organisations, will become a reality in 2019 with the broader adoption of the industry-changing IMF. Increases in internet speed and improvements in file-sharing technologies have continued to dissolve distance, making remote collaboration a viable option. An exciting new EFS storage capability is the Access Control List (ACL) Media Space. This feature was developed to satisfy organizations that manage storage using ACLs, instead of the simple, “read-only” or “read/write” rules that govern current EFS Media Spaces. With ACLs, all users typically mount a single “Media Space” and then, within that Media Space, a particular user can see into specific Active Directories (ADs) or not, depending on how the ACL is set on that directory for that user. Improved single stream READs and Writes between Single Node EFS storage and MacOSworkstations. Improved reading of file-per-frame content when making copies elsewhere. Improved movement of many files with MacOS workstations. Improved application of new storage goals to media spaces. Flow has embraced the cloud with new support for Azure, Google, S3, Wasabi, Backblaze and many more! Precision tools for remote editing, workflow tools for Automating repetitive tasks, private secure cloud collaboration with Airflow, native NLE integration with leading creative applications and finally the most cost-effective MAM solution on the market. Scale up and scale down when you need to. Thanks to a new partnership with Vector3, EditShare has now added 4K ingest and playout,as well as sophisticated “channel-in-a-box” and multi-channel playout automation, to our end-to-end workflow offerings – all at breakthrough pricing. This next generation video server platform is designed for TV stations, TELCOS and regional broadcasters who require a cost effective, powerful solution for channel playout, station automation and for disaster recovery backup. The solution offers native integration with Flow Media asset management and can work directly with EFS storage. They are also unveiling an all-new #StorageDecisionCalculator along with #DNAfabric! At this year’s NAB Show, Ross will be showing how its technologies, services, and expertise can help customers achieve their creative, business, and technical goals. Ross displays at NAB will be a creative playground, showing the latest in complete systems and workflows for Virtual Sets, Automated Production, Graphics Creation & Playout, News Editorial, Stadium Display Production, Houses of Worship, Assembly Meeting Production systems, and more. The new Metadata Editor, instantly updates, edits and changes the metadata in your files with no rewrapping or re-exporting. In it’s debut release, features include relabeling audio tracks and editing/renaming track titles like the now deprecated Quicktime Pro software, as well as, editing HDR tags like color primaries, matrix coefficients and transfer characteristics. 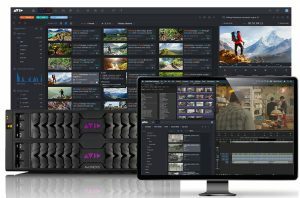 Woody Technologies will showcase Woody in2it at NAB 2019 booth SU4618. Object Matrix, the award winning pioneer of Object Storage to the media and entertainment industry, has announced that it is launching a new analytics, monitoring and statistics tool at NAB 2019: “Sense”. Until recently the storage infrastructure within every post-production house and broadcaster extended from the PC to the data room. Nowadays with that storage infrastructure extending to the cloud and at times even beyond that onto customer premises, Sense enables the collection of real-time statistics of storage infrastructure usage, real-time monitoring of hardware and analytics of both usage and the types of information being stored. A new Mac update is available with Windows coming later this spring. New Simple Mode, enhanced GUI layout and Mojave dark mode, MHL reporting, thumbs for new Codex .ARX RAW frames, RED dropped flag frame added, more camera metadata and more control over PDF report. The leading innovators in software driven real-time production systems combine to accelerate innovation and advance a shared vision for video creation, production and distribution. NewTek and Vizrt launched their latest video-over-IP solution, NDI 4, feauturing the ability to record unlimited NDI video channels for true multi-camera editing with full synchronisation. NewTek also announced the latest version of Premium Access, enabling unlimited recording and replay for efficient delivery to digital screens. Ikegami, a leader in HD and UHD cameras and production equipment for television content creators and broadcasters, announces that High Dynamic Range support is now available as an option for its HLM-60 monitor series. The new option includes EOTF tables for Hybrid Log Gamma (HLG) and S-Log3 in addition to conventional gamma. Existing monitors in the HLM-60 series can be upgraded with the new option retrospectively. At NAB 2019 Blackmagic Design is pleased to announce some very exciting new products, many of them 8K capable. Not only does this mean that they are future proof, but the extra power brings many more advanced features and capabilities to HD and Ultra HD workflows too. Here’s the rundown.. The trusted reliability of HyperDeck combined with new innovations, including native 8K HDR support and space saving H.265 files – record over 8 hours of 8K footage on a single 1TB CFast disk! Control up to eight HyperDecks, and/or legacy broadcast VTRs, with a single controller. An advanced SSD dock that lets you access 4 separate SSDs via a single high speed 10 Gb/s USB-C connection. Can be connected to the HyperDeck Extreme 8K HDR. An incredibly powerful 8K live production switcher and amazing Ultra HD switcher too, with 4 M/Es, 40 x 12G-SDI inputs, 24 x 12G-SDI outputs, 4 DVEs, 16 Keyers, 4 media players, 4 multi viewers, 2 SuperSource and standards conversion on every SDI input. An advanced 8K monitoring solution for large screen televisions and video projectors. The perfect accessory for the ATEM Constellation 8K. Features a revolutionary new dual timeline cut page specifically designed for fast turnaround editing. The new DaVinci Neural Engine introduces new features such as facial recognition, speed warp, auto color balancing and shot matching and object removal. Premium, all-metal, USB-C keyboard with integrated jog control to help professional editors work faster. Work with both hands for the fastest approach to nonlinear editing. A major new upgrade that brings all improvements made in DaVinci Resolve to the stand alone version. Now includes GPU acceleration of all 3D, B-spline and bitmap mask operations. Carbon fiber non-slip hand grip that houses two rechargeable L-series batteries to extend Pocket Cinema Camera 4K recording time to over 2 hours. JVC Professional Video, a division of JVCKENWOOD USA Corporation, will showcase two 31-inch UHD/4K LCD monitors designed for today’s growing 4K workflows at the 2019 NAB Show The DT-U31 offers UHD (3840×2160) resolution, while the DT-U31PRO offers full DCI 4K (4096×2160) native resolution. The new Studio 6000S compact live production and streaming studio Designed for sports and other live events, the self-contained control room features a production switcher with six IP inputs that support NDI® as well as the SRT (Secure Reliable Transport) streaming protocols. AJA has unveiled new product additions to its Ki Pro, openGear and IP Mini-Converter families as well as major updates for FS-HDR, KONA, Io and T-TAP products, HDR Image Analyzer, and HELO. Call us on 01932 255 666 to discuss anything from NAB, or to find out more details.